50 gr. 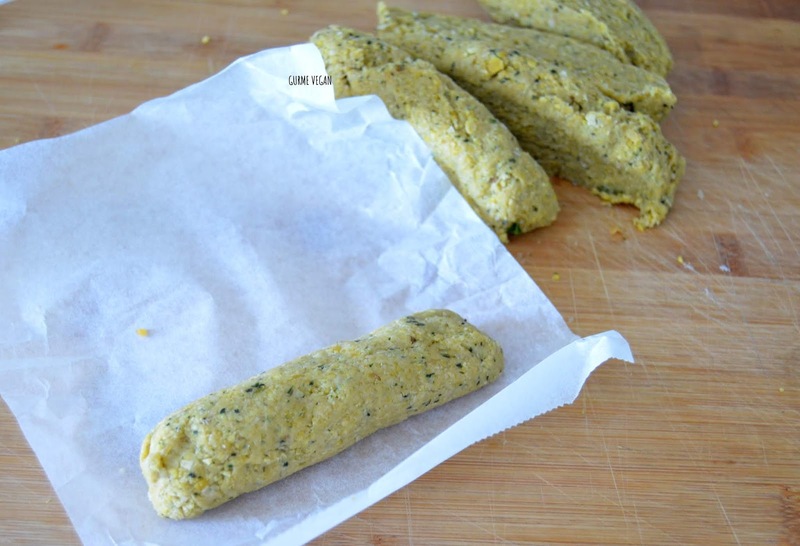 + 2 tbsp vital wheat gluten. 1. Place chickpeas into a deep pot, cover with water. Bring to boil on medium heat until soften. 2. When they are soften, strain and place them into the food processor. 3. Add nutritional yeast, thyme, olive oil, chopped onions, garlic, soy sauce, smoked paprika, salt and fresh basil into the food processor. Mix on high speed until get a smooth mixture. 4. Add wheat gluten and water, blend all well. If you need, add a bit wheat gluten until get dough consistency. 5. Transfer dough into a large bowl. Knead with your hands for 1-2 minutes. 6. Divide dough into 5 pieces. 7. Place one piece on the baking paper, give a sausage shape to it. 8. 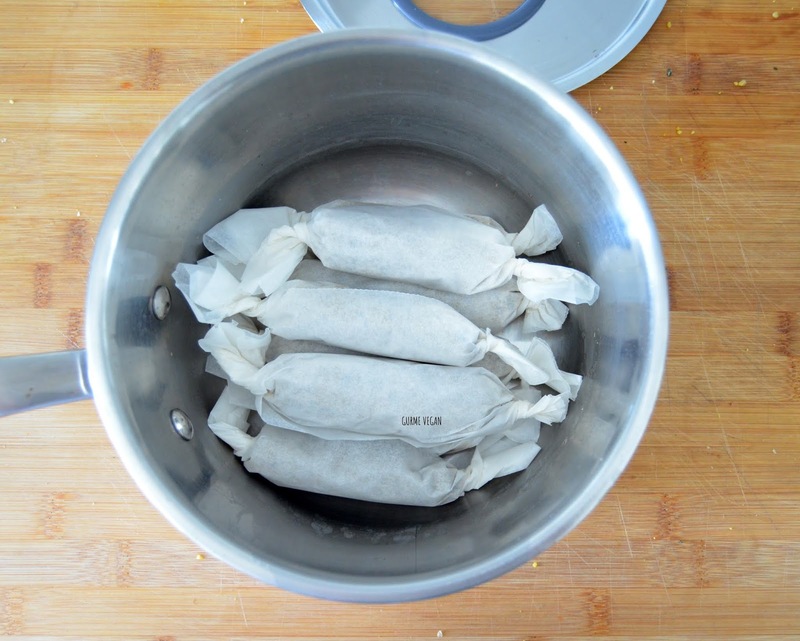 Roll sausage and twist the ends well, use wrapper clips. Make sure the ends are tightly closed . 9. 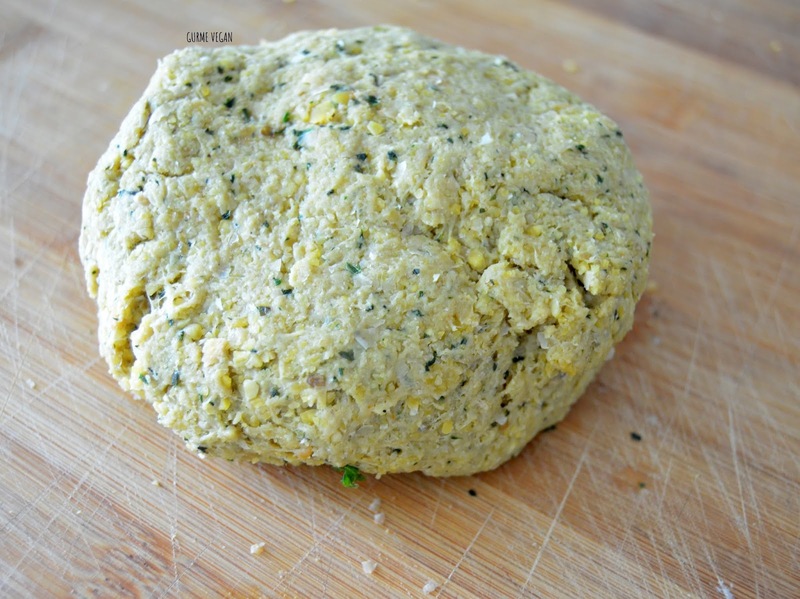 Make the same process remanining dough pieces. 10. Place rolls in a large and deep pot. Cover with water. Place a medium plate on top ( remember how we cook stuffed grape leaves). So. they don’t move and fall apart. 11. Cook them on low heat for about 35-40 minutes. 12. When they are cooked, remove from the pan. 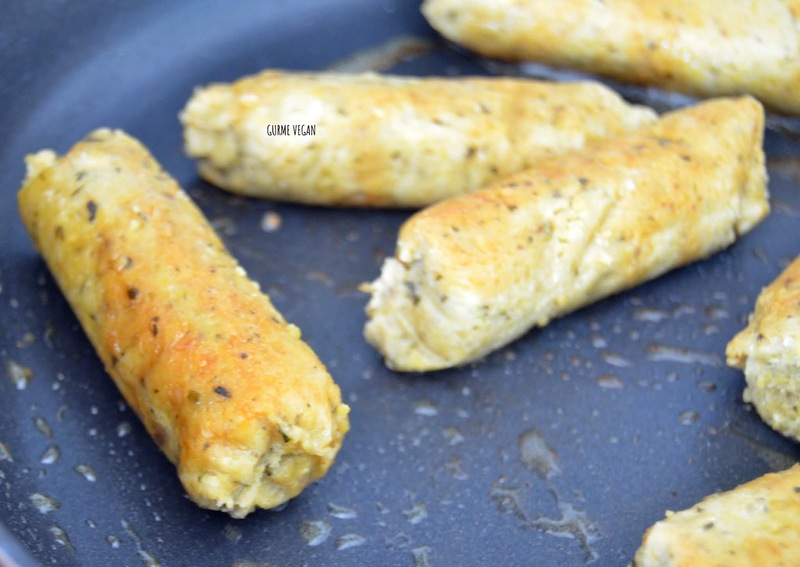 Open wraps and place in a large skillet pan. 15. 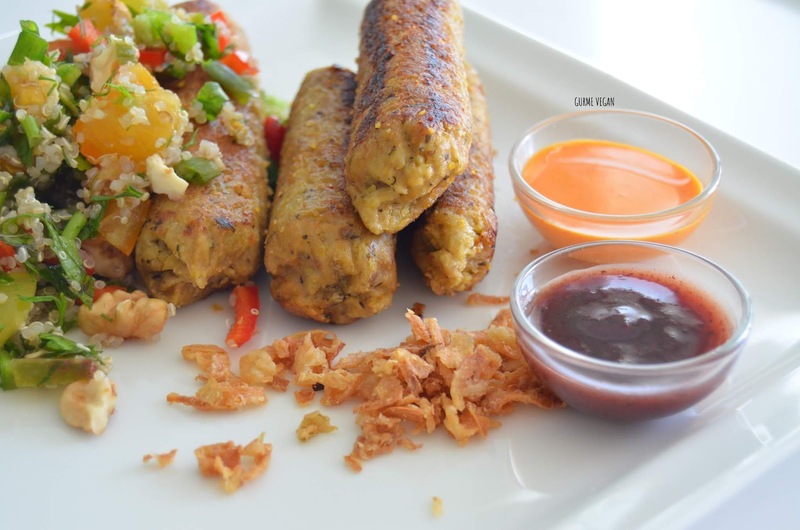 Serve sausages with potatoes, salad, crispy fried onions or whatever you want. Enjoy!